By default, all online galleries are set to NOT be visible on your Portfolio. 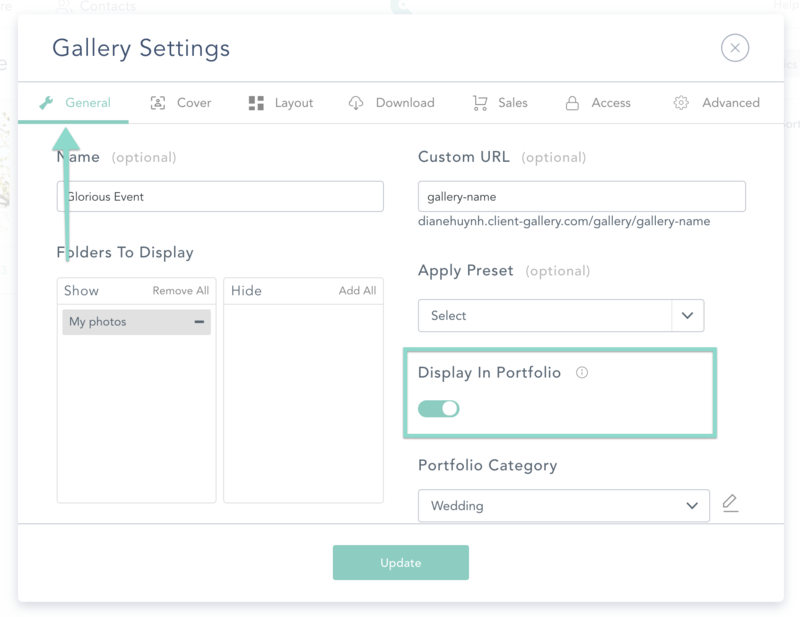 To change that status to visible, when you create or edit a web gallery make sure to navigate to the General tab and activate the toggle button to display this gallery on your Portfolio. Your online gallery will then be visible on your Portfolio! To view your Portfolio, go to the top right corner and click "My Account". 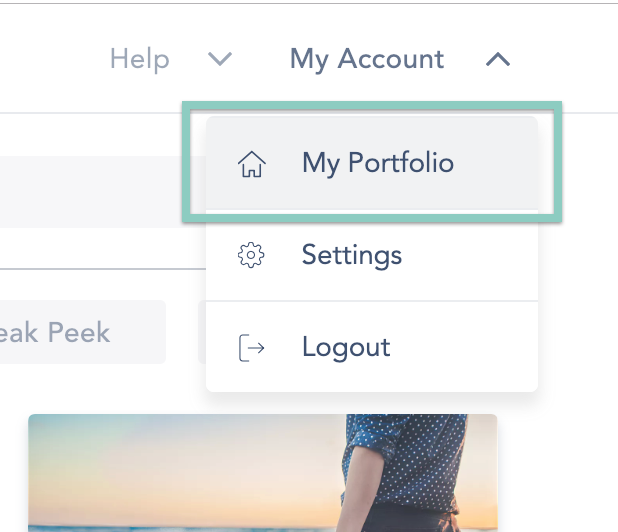 You'll see a dropdown menu with "My Portfolio"! Tip: Bookmark your Portfolio on your phone so you have easy access to your gallery links when you’re on the go!